Classic waste bin with an imitation wood surround design. Equipped with a black metal top and a galvanised, removable inner container for easy emptying. Designed for outdoor use but should be placed in a sheltered area. Suitable for ground fixing (bolts supplied). 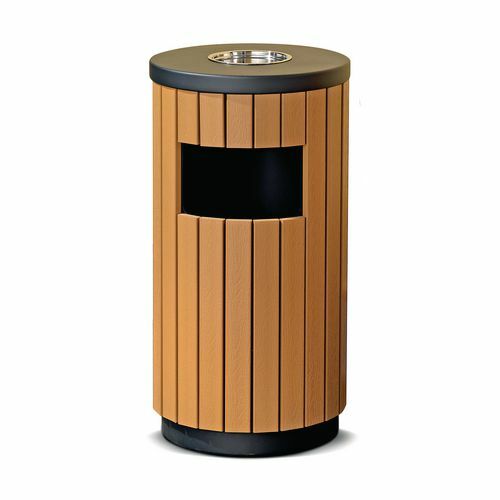 Has an in-built ashtray top, side slot and a 33L capacity.